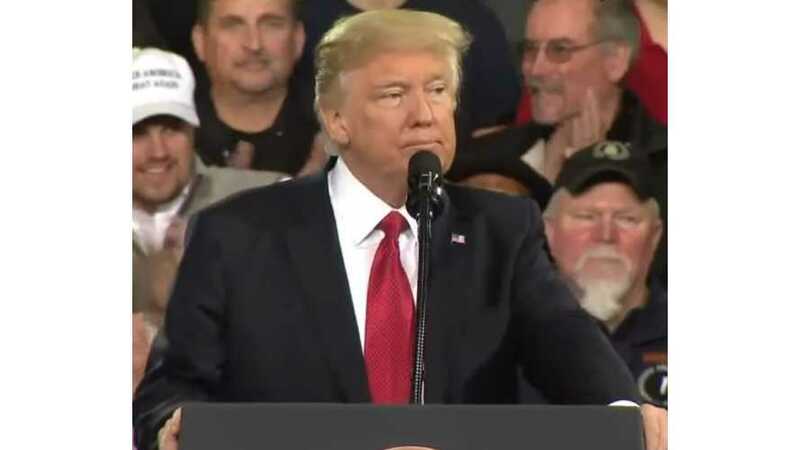 President Donald Trump spoke to a crowd of auto workers, Michigan officials, and a who’s-who of auto industry executives and CEOs today in a speech at the former Willow Run assembly plant in Ypsilanti, Michigan. 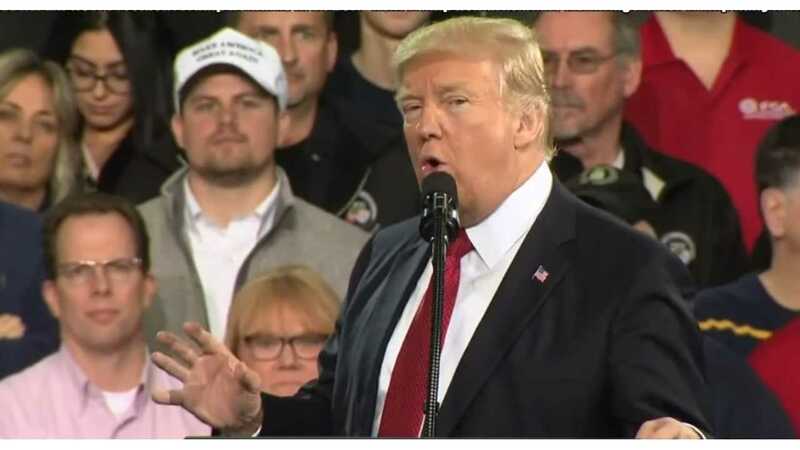 In what felt more like a campaign rally, Trump said he wanted to make Detroit the car capital of the world while also welcoming foreign manufacturers – of which several were present at the event – to expand their U.S. operations. 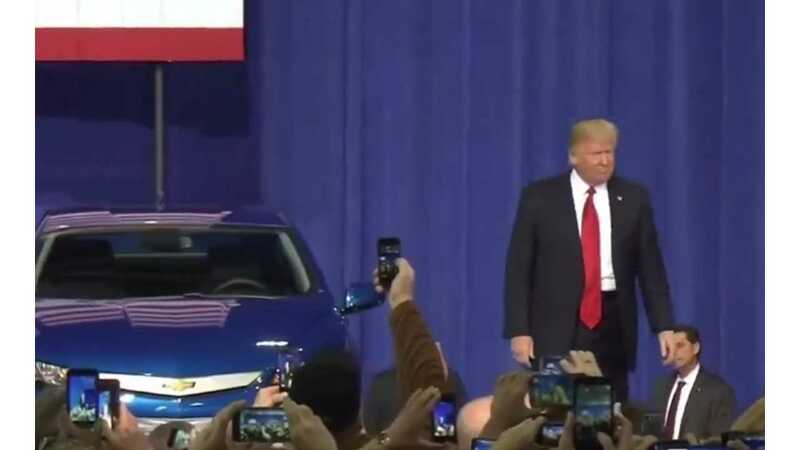 Buried within the speech was his announcement that the current administration will postpone a final ruling on forthcoming mileage standards until 2018, allowing additional time for automakers and other groups to make their cases either for or against the 54.5-mpg standard by 2025. Trump’s announcement doesn’t guarantee the standard set by the Obama administration will be rolled back. It reopens a request for review from automakers on the decision made in the closing days of the Obama presidency to solidify the 54.5 mpg standard. The final decision for that mandate wasn’t actually due until April 2018. "Today I am announcing that we are going to cancel that executive action," said Trump. "We are going to restore the originally scheduled mid-term review, and we are going to ensure any regulations we have protect and defend your jobs, your factories; we’re going to be fair." Trump’s choice to speak from the former Willow Run assembly plant isn’t lost on anyone in the auto industry. Originally built by Ford for aircraft production in World War II, it was eventually picked up by General Motors and became a sprawling complex of nearly five million square feet. Chevrolet staples such as such as the Corvair, Nova, Citation, and eventually the Caprice were manufactured at the facility, which also housed GM’s Hydramatic transmission production and the company’s powertrain factory and engineering center. The facility closed for good in 2010 following GM’s bankruptcy. Barra was one of several automotive CEOs attending Trump’s speech at Willow Run. Automakers argue that stringent fuel economy standards would stifle manufacturing jobs and go against public buying trends, which have overwhelmingly returned to less-efficient pickup trucks and sport-utility vehicles. According to Automotive News, Ford CEO Mark Fields suggested that more than 1 million jobs could be lost if the current economy standards remain in place. There is, of course, significant opposition to delaying the mileage decision, never mind potential roll backs that are all but guaranteed to take place given the Trump administration’s position on climate and other green initiatives. A recent report from Consumers Union debunks industry claims that tough fuel economy standards would drive up prices, and would actually do more harm than good if relaxed. Trump also mentioned a "big announcement" pertaining to the auto industry near the beginning of the speech, coming next week. We will of course bring you the latest on that news as it develops.